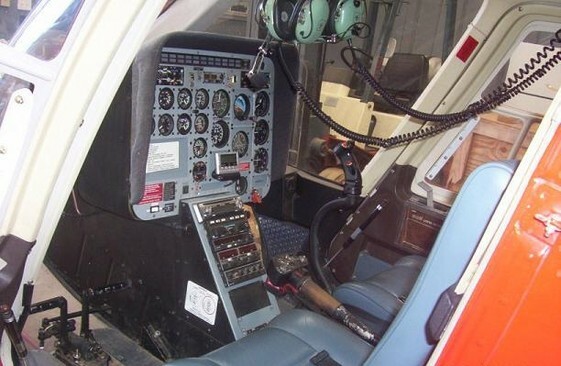 The Red Bell 206 Long Ranger-3 has a seating capacity of up to six (6) passengers plus the pilot. It has the smoothest ride available in its class and is outfitted with club passenger seating (as seen below) for face to face conversation the the complete intercom system, utilizing David-Clark headsets. This L-3 is powered by a 650 hp Rolls-Royce C-30P turbine jet engine. 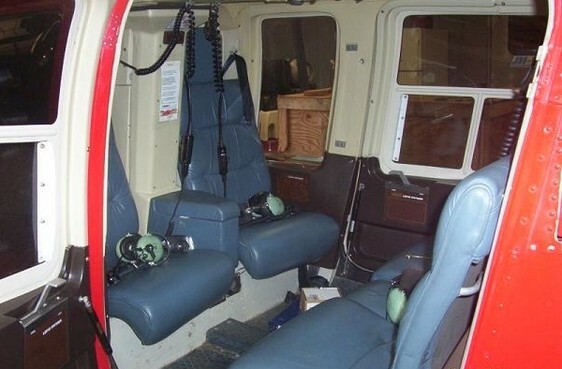 The above photo is the back seating area in the Bell 206 Long Ranger-3. Two aft facing seats and three forward facing seats. The above photo is the front seats in the Long Ranger-3. The pilot flies from the right seat and the passenger sits in the left seat. The aircraft is outfitted with dual controls, so the aircraft can be flown from either side but the duals are removed for all flights other than training.